Another day, another adventure at the festival. It would not have been an understatement to say that the Flower Festival at Orchidia had been quite eventful so far. Not only had Fia been reunited with her father and they received his blessing for their planned marriage, the girl also had experienced quite a few reunions with some of her friends. All in all her time spend in Orchidia had been quite pleasant to say the least. And yet, as she wandered the streets that were lined up with vendor stalls she couldn't help but wonder about something. How long would this peaceful time last? It was rather unfortunate that her only companion today was the demonic butler at her side, for Fia had been off on a meeting with some of her friends from the Rune Knights, perhaps she was going to invite them over to the wedding? That reminded her that she needed to start inviting people also, especially considering the wedding was going to happen in like a year or two. Of course, it all mostly depended on the 'when', but the where they had already settled on quite easily. Obviously, the two of them were going to get married in Baska, the place their adventure together started at. Still, as she was lost in thoughts she had been quite oblivious to the fact someone quite familiar to her was nearby! There were many things which crossed her mind as she woke up and decided to take a lone stroll around Orchidia, more precisely where the festival was still happening. The girl already had her time to enjoy with her teacher, take in all the sights and try everything that the party had to offer, yet she wondered if she was going to be able to find some other familiar faces as she walked alone in the young night. Through the stalls she goes, all of them with many different products, a big range to choose from. Surely one couldn't leave without at least bringing an entire week of goods home. Such is why festivals exist, for people to take such kinds of chance. Yet, that's not why Liana wandered about. Of course, in time, she'd start getting hungry and will most likely have to visit one of them to grab herself a meal, though for now she had other plans, plans to find a specific individual. Gladly for her, it wouldn't take long. "Oh...!" Her eyes widen as they focus upon a very familiar figure, the back of that of her best friend. "Esperia!" She immediately shouted her name, knowing one-hundred percent that it had to be her. And in case she turned around, a bright smile would quickly creep up across her features as the elf closes the gap and leans in to wrap her arms around the other's shoulders, offering her a tight and warm embrace. "I've been searching for you!" Liana admits, pulling back a little to look her friend in the eyes, an emerald glimmering gaze delivered. "How have you been? I missed you a lot, you know? It's been some time since we hung out, I was thinking that we could do something this festival." 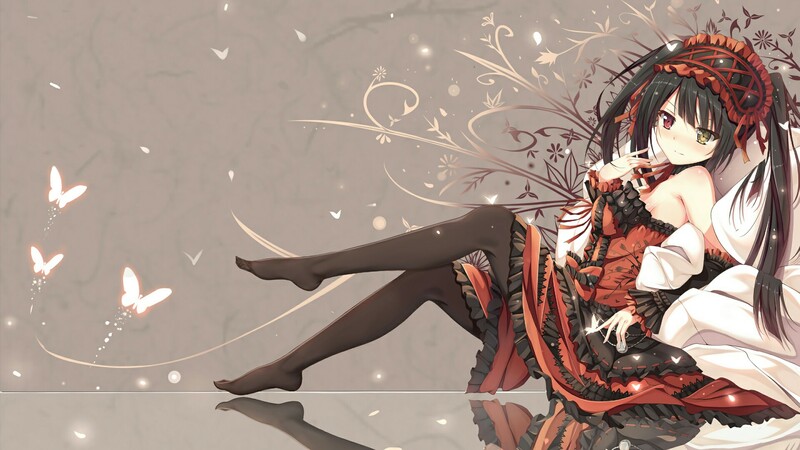 The young Sylvaine states, tilting her head to the side happily as she eagerly and curiously awaited a response. How in the world had this happened? Was she dealing with some sort of bitter irony? The voice that called out to her instinctively made the girl's body jolt as if a lightning bolt had coursed through her and while she turned around to face the source of it the girl's eyes widened in disbelief. "Lia...na?" Disbelief quickly distorted into something else, memories of Crocus, of Baska and rumors she had learned about clouding her mind but when she felt the elf's gentle embrace Esperia's body stiffened, her hands at her side as she opened and closed them, a motion that almost felt like a fish trying to feebly breathe on land. Her entire body and mind had blanked out, and for the first time in gods know how long she was without any potential response to give. "..." She had been searching for her? Instinctively Esperia felt her stomach churn lightly, wondering why she had been looking for her. As far as she knew Liana had quite the time of her life alongside Alisa and Baron, even the latter had somewhat told her about their misadventures together. "I been doing well." the girl said, although the light twitch of the corner of her smile made it evident her response was forced. Once more she felt that unpleasant feeling well up in her chest, trying her utmost to push it out of her. She missed her? She certainly had an interesting way of showing that back in Baska. "You're certain you missed me, and not Alisa or Baron whose bed you been warming lately?" Yet hearing the words leave her lips before she even intended to think them she raised a hand to her mouth. "A-Asmodeus what are you doing?" The girl mumbled out loud, the tone of the girl suddenly turning sweeter and more sensual. "Just giving you a little push in the back~ You know how I feel about being honest with your feelings~"
Her eyes sharpened for a moment before her gaze softened and she sighed in annoyance. "You're a headache sometimes Asmodeus." Looking at Liana she shook her head lightly and spoke in an apologetic tone. "I'm sorry Lia, I been struggling with those feelings ever since we parted ways in Crocus." A soft sigh followed as she finally allowed her hands to gently slide around the elf's back, returning the embrace while she leaned against her, her head resting against the side of Liana's own while she whispered into the pointed ear of her childhood friend. "But it's time I bury those feelings. I don't want to risk losing my childhood friend, and there is no room for such childish thoughts anymore, especially now that I'm going to get married." A short pause followed as she finally leaned back a little and asked her with a softer smile that at least seemed genuine once more. "Shall we take a walk so that we can talk a bit more?" Of course, Liana knew her best friend way too well to be able to figure out that something was wrong upon the first response was given. It had been some time since they had been together, that's true, so perhaps that's why the Eisenberg appeared to be in quite the downed mood. 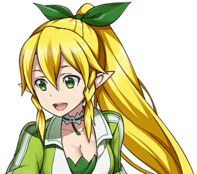 The elf hoped that it wasn't the same case as months ago, where Esperia was confused about her feelings and couldn't wipe out the ones she once had for the blonde. To this day, she still doesn't know if that's the case, perhaps it is, perhaps the obsidian-haired teenager was already able to finally forget about all of that, about the painful crush she had for her. In the end, her thoughts were true. There was something wrong. "Wh--...!" The girl was completely speechless at first, those words coming out of nowhere, taking her aback. The embrace wasn't broken, yet her head leaned away as a widened gaze glued into Esperia's own. Even when brief moments afterwards it had been revealed that those words were forced out by Asmodeus herself, it still meant that such was how her friend felt and it didn't make Liana feel any better. She wasn't angry or mad at her, merely disappointed in herself, guilt-tripped. As the young Eisenberg and the demon of Lust conversed, her head lowered down and she bit her lower lip. She slowly pulled back from the hug. The elf just didn't feel comfortable staying like that after such a scene ensued. Luckily though, Esperia snapped back in time to return the embrace, which only forced the young adult to give it back in turn, tightening her arms now around the other's back as well. "It's okay..." She mumbled at first. But this time she was the one with a forced response. Yet, when she tried to smile, she just couldn't. This was no moment to smile, after all. She felt bad about everything. Going back to the day she technically rejected her friend, Liana feels bad. Perhaps she should have just said 'yes' and everything would be fine. They wouldn't have to be so distant like this. The blonde still accepted the affection, eventually gently leaning back with her head against Esperia's, listening carefully to her whisper. "... I'm sorry... But yes, there's a lot we need to talk about. There's a lot I want to talk about with you." In the end, once the other female leaned back and suggested a walk, she nodded and stated those words. Her hand caresses down along the Eisenberg's arm and hopes to warmly take the other's tightly. Liana finishes, glancing back down at Esperia and wearing a more serene expression. It was about time they healed their wounds. There were still some lingering about that both of them were completely unaware of, or at least the blonde was. Now she was willing to do everything in order to keep them away. "Anywhere you'd like to go?" Indeed, there was clearly a need to mend the wounds that were caused over the past events, lest they'd fester and become unable to be cured. Feeling Liana's gentle caress along her arm she smiled briefly, allowing her hand to be taken as she gestured toward the streets where the festival was being held. Although there were already people around, it was still quite calm and peaceful, no doubt the result of the early hour. Festival booths were serving their first customers of the day, and as the two of them walked along the street the obsidian-haired trickster mused softly. "It's been quite a while since we walked like this, hasn't it?" She asked, a brief smile lingering on her lips. It was true, they had not spent time like this together since their reunion in Baska, before she had made that decision that changed their lives forever. It was difficult to say what she felt about her confession. Whether she regretted it, that by itself was already a difficult question to answer. At one part she regretted it because it had changed their friendship, it had forged a distance between them. However, on the other hand, it was that rejection that led her to meet Fia. "I sometimes wonder: What if the choices we made in the past could be changed... Yet at the same time, I can't help but ask whether I truly would change them." The power to change the past, and yet the uncertainty about whether one would be actually willing to change it. "Sometimes my thoughts and feelings confuse even myself." The girl's gaze drifted upwards at the sky as she clarified further. "For a long time I longed to be the one you looked at. To be the one you desired. And yet after that night I was forced to come to terms that it would never become the case." As they walked along the streets of Orchidia it seemed Esperia was taking them into the direction of a small park, knowing how much the elf loved nature. "At that time I was desperate to forget, to ease the pain that lingered in my heart, and then the one medicine arrived that I needed in my time of need." Flowers, Orchidia certainly was a suitable place to hold this festival considering all the fields of flowers that decorated the park. "And yet at first I felt conflicted. To use Fia as a means to forget the pain I felt, it was wrong no matter how I looked at it." She shook her head lightly as she turned her gaze toward Liana and continued her explanation. "But then the most peculiar thing possible happened: I started to love Fia, in a way that was similar to the feelings I held for you." A deep breath followed as she took in the pleasant atmosphere of the park and continued to talk. "I thought I had come to terms with my feelings, but in Crocus I realized that wasn't the case. Knowing you still longed for Alisa, the fact that you slept with Baron, it left an unpleasant sensation in my chest. At first, I was angry and jealous, but then..." She awkwardly scratched her cheek, a blush spreading on her cheeks as she continued. "Fia proposed to me." Well technically it was a mutual proposal, but that was just an endearing detail to speak about another time. Briefly letting go of Liana's hand she slipped off her sandals and walked amidst the flowers, a gentle twirl of her body following as she pulled a hand up, a green four-leaved clover amidst her fingers that she gently placed at the back of her friend's ear. "I understand now, that such feelings no longer have any place in my heart. I shouldn't be bothered by who you long for, or who you sleep with or who you love. In the end, you're my childhood friend and not my fiance." She shook her head lightly, her gaze softening as she looked into the elf's own eyes and finally said it. "Because as Esperia Barone, I have decided to become faithful to my darling~"
A soft chuckle followed as she added a jest with a sheepish grin. "Although, sometimes it is quite a challenge, courtesy of the demon lord of perverts that dwells within me."